For those who love the taste of coffee but who do not want a caffeine overload, the coffee offerings have traditionally been somewhat limited and less than desirable. Most of the widely available decaf coffees tended to be somewhat bitter with an underlying sourness that was less than pleasant. In recent years, the selection has expanded, and the quality has improved significantly. The following looks at my favorite decaffeinated blends for 2018. The direct process uses a chemical called methyl chloride. This method does not remove other organic compounds from the coffee, so it affects the taste of the coffee the least. A natural process decaffeination uses CO2 or a natural plant hormone called ethyl acetate. A water process decaffeination uses nothing other than pure H20. Regardless of the process used, decaffeinated coffee still contains a small amount of caffeine. 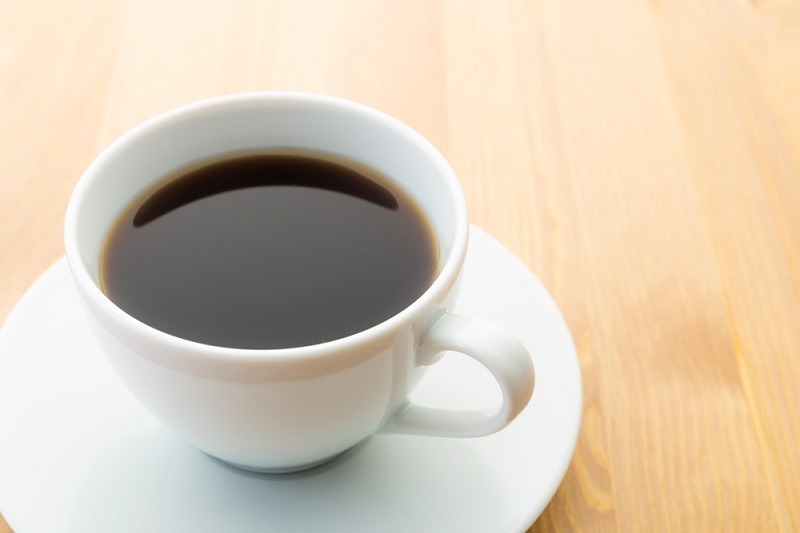 According to regulations issued by the U.S. Food and Drug Administration, at least 97 percent of the caffeine has to be removed in order for a coffee to be considered decaf. The amount of caffeine that remains can vary based on the type of bean used. Some decaf coffees may have as little as 5 mg of caffeine while others may have as much as 30 mg.
We all have those days when there simply is not enough time to wait for a cup of brewed coffee. That is when it can be helpful to have instant coffee on hand that can be ready flash. Although you may sacrifice some flavor and aroma, the following selections will certainly satisfy your coffee craving. 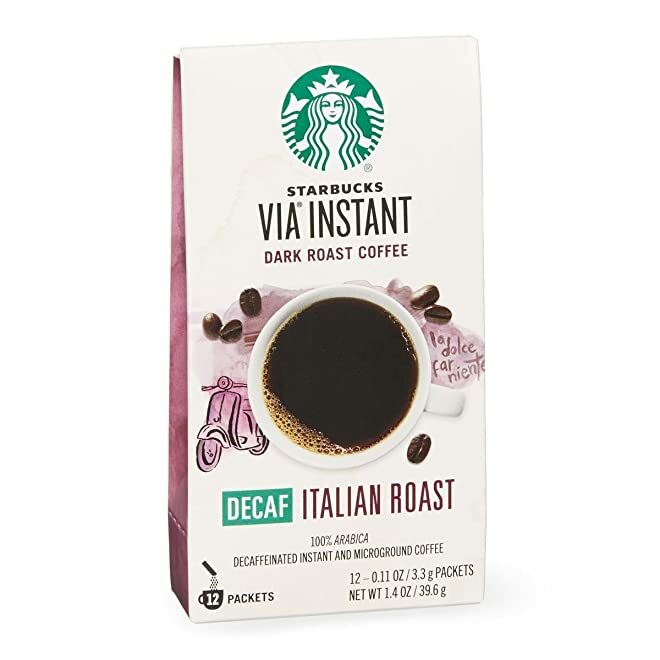 This micro-grind coffee offers the quintessential Starbucks flavor in a convenient single-serve packet. Just add hot water, and in 10 seconds you can enjoy a cup of coffee with enough flavor and body to stand up to cream and sugar. Made from 100 percent Arabica beans, VIA is a dark roast with deep, bold flavor and a hint of sweetness from the caramel undertones. It also has an aroma similar to brewed coffee. VIA is a strong coffee, so it may not be for those who normally drink Starbucks blonde roast offerings. 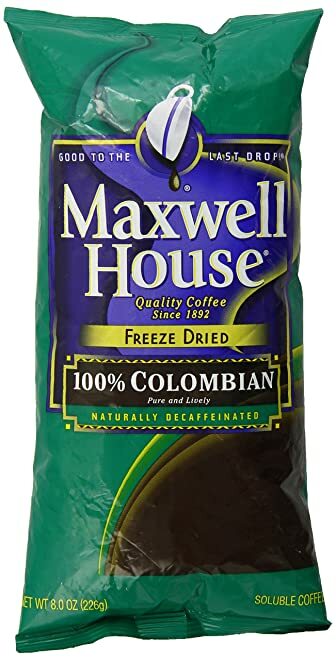 Maxwell House’s line of flavored international coffees are a perennial favorite and come in a variety of flavors. Sugar-free Suisse Mocha is perfect for those who do not like their coffee overly strong. The dessert-like sweetness makes it a perfect after-dinner treat or as a substitute for creamer in your brewed coffee. The aroma is warm and inviting, and the flavor is very similar to a cup of hot cocoa. This may mean that it is too sweet for hard-core coffee drinkers. The fact that the coffee comes in a tin instead of pre-measured packets allows you to customize your cup of coffee to your taste. 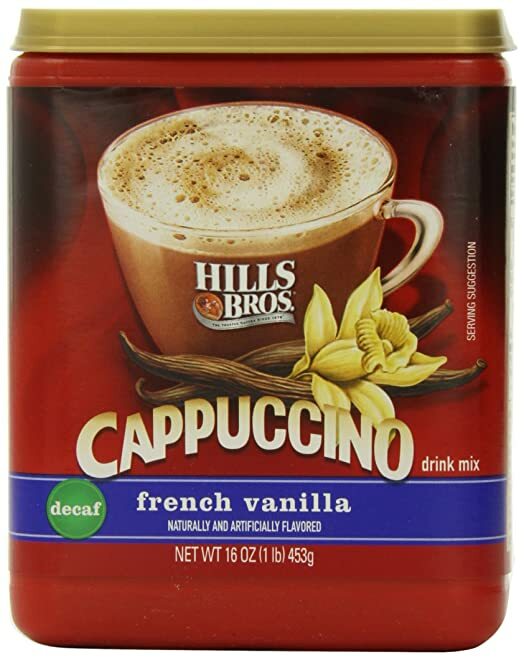 If you want to enjoy the rich creaminess of a cappuccino without the hassle of brewing, Hills Bros. offers a line of instant cappuccinos. This decaf version is perfect as a nightcap and will not keep you up all night. The aroma of vanilla and the creaminess of the coffee make this instant cappuccino seem decadent and rather elegant. The flavor is definitely on the sweet side, so you should not expect a strong coffee flavor. Hills Bros. coffees are widely available at both brick-and-mortar and online retailers. The budget-friendly price makes it possible to enjoy a cappuccino whenever you like without paying a fortune at your local coffeehouse. This product promises to deliver the same taste and aroma as Folgers classic coffee in an instant, decaffeinated version. The coffee dissolves well in milk or water and can be served hot or cold. Like traditional Folgers coffee, this instant version is a medium roast with a relatively mild taste. Those who like their coffee more full-bodied may find it difficult to get the level of flavor that they want without the coffee become too strong and bitter. 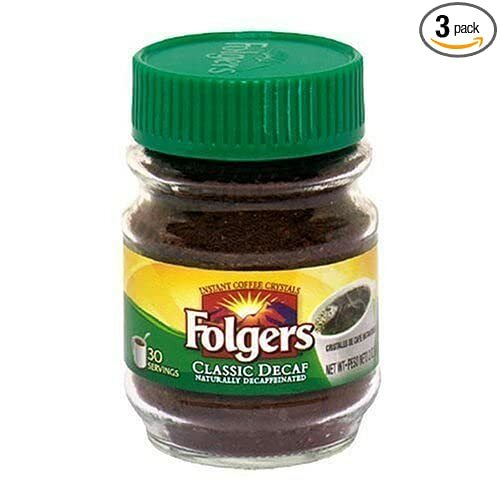 While definitely not gourmet, Folgers instant coffee will still satisfy your craving for a cup of coffee at a reasonable price. Nescafe uses only 100 percent responsibly-sourced premium coffee beans to create its signature decaf coffee. The distinctive glass jar helps preserve the coffee’s flavor and aroma. 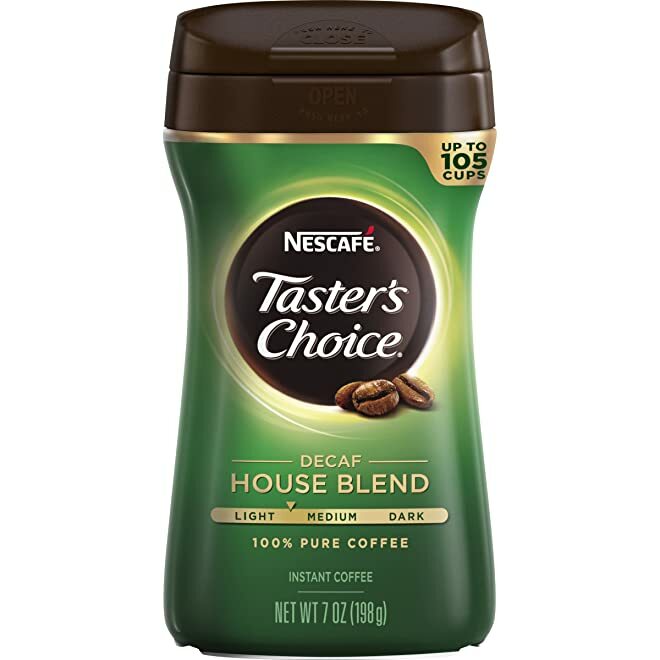 Nescafe Taster’s Choice’s decaf coffee is mild roasted to ensure a smooth, well-balanced flavor. The fact that the coffee is brewed and freeze-dried immediately after roasting helps lock in the flavor and aroma. Compared to some of the other mass-market instant decafs, Nescafe may be slightly more expensive but delivers a decent cup of coffee. 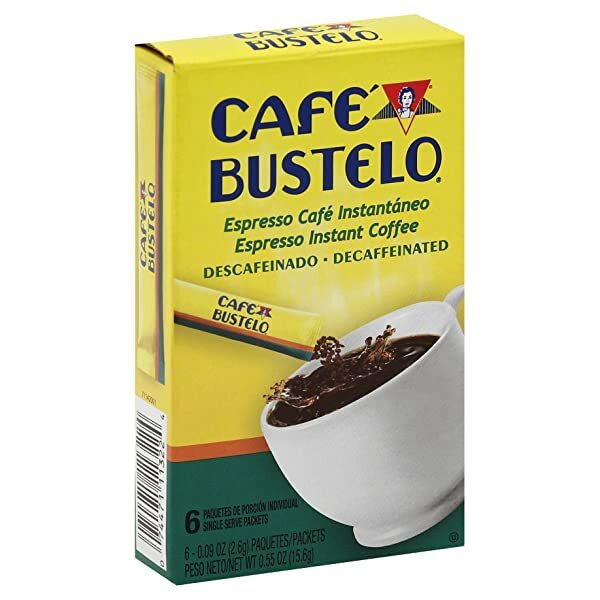 Café Bustelo coffee originated in East Harlem in the early 1930s. It was founded by Gregorio Bustelo who immigrated to New York from Spain via Cuba and Puerto Rico where he learned the art of coffee roasting. The company offers decaf ground coffee, decaf instant coffee, decaf freeze-dried coffee, and single-serve packets of decaf instant espresso. The company uses premium beans to create a decaf that still provides a rich and full-bodied taste and aroma. Marley Coffee sources its coffee from some of the finest coffee growing regions around the world. The company prides itself on its commitment to ensuring that all of its coffee is ethically farmed and sustainably grown. The beans are then artisan-roasted and decaffeinated using a Swiss water process. The dark roast of the company’s Simmer Down decaf blend brings out the deep flavors and aromas of vanilla, cocoa, nutmeg, and other spices. Maxwell House has been a household name in coffee for more than a century. This freeze-dried decaf offers the full-bodied flavor that is expected with Maxwell House coffee. The company uses its signature blend and state-of-the-art technology to ensure a consistent flavor and aroma. As a mass-market coffee, Maxwell House is extremely affordable and widely available. This is an instant coffee for coffee lovers. It is made from 100 percent highland Arabica beans and is the world’s first certified organic instant coffee. Mount Hagen coffee is decaffeinated using a carbon dioxide decaffeination process. The brew itself is mild yet still full of flavor with a satisfying aroma. Mount Hagen decaf may be a little more expensive and difficult to find than mass-market varieties, but the flavor is worth the effort. It also comes in individual packets, which makes it convenient for traveling or camping. 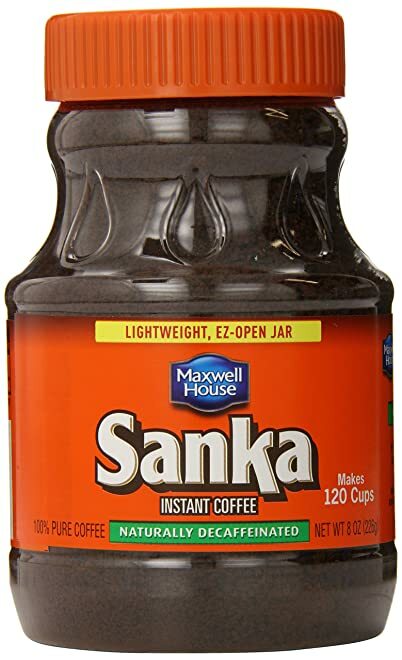 As America’s oldest brand of decaffeinated instant coffee, Sanka had to be included on my list both for its flavor and iconic position in history. It has a distinctive flavor and aroma that will immediately make you feel nostalgic. Sanka is also firmly positioned as part of pop culture after being referenced by the likes of Laurel and Hardy, Seinfeld, and Family Guy. 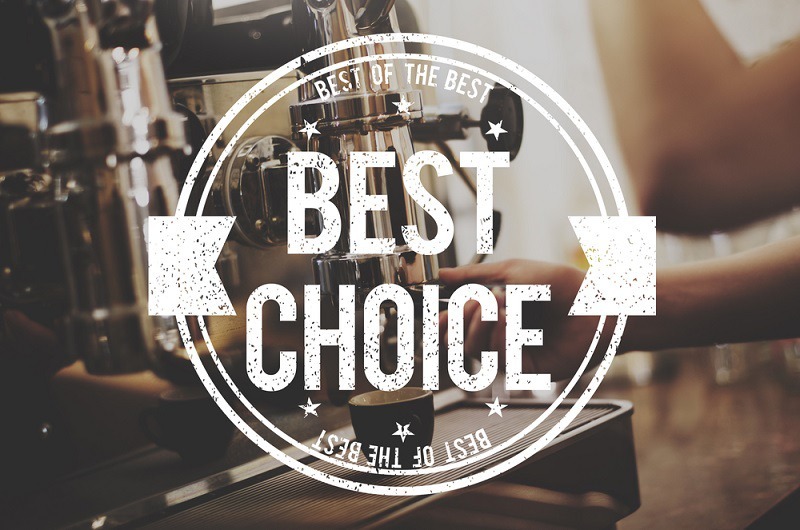 Folgers, Maxwell House, and Taster’s Choice are all budget-friendly and comparable when it comes to price. If you have time to brew coffee but still want to go the decaf route to avoid the jitters, Café Bustelo and Marley Coffee are some of my favorite options. This is a tie between VIA and Mount Hagan. VIA from Starbucks is certainly more accessible; however, if you are not a fan of the trademark Starbucks bitterness, Mount Hagan may be more to your liking. 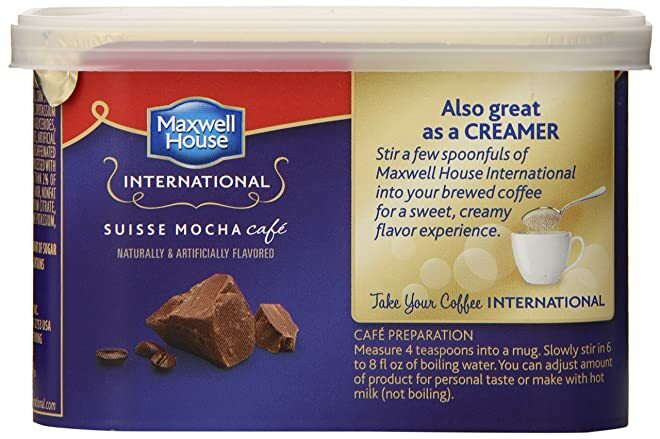 Both Maxwell House’s international coffees and Hills Bros. instant cappuccinos will certainly satisfy the sweet tooth and provide a mild coffee flavor. Marley Coffee offers a truly gourmet coffee that is so rich and full of flavor that you just might forget that you are drinking decaf. Each of the primary coffee regions has its own distinct climate and soil, which gives the beans from each region a unique flavor. These flavors can react differently to the decaffeination process. These changes tend to be most noticeable in single-origin coffees. For the best results, choose a blend from several regions so that the complementary flavor profiles will help mask any imperfections brought out by the decaffeination process.